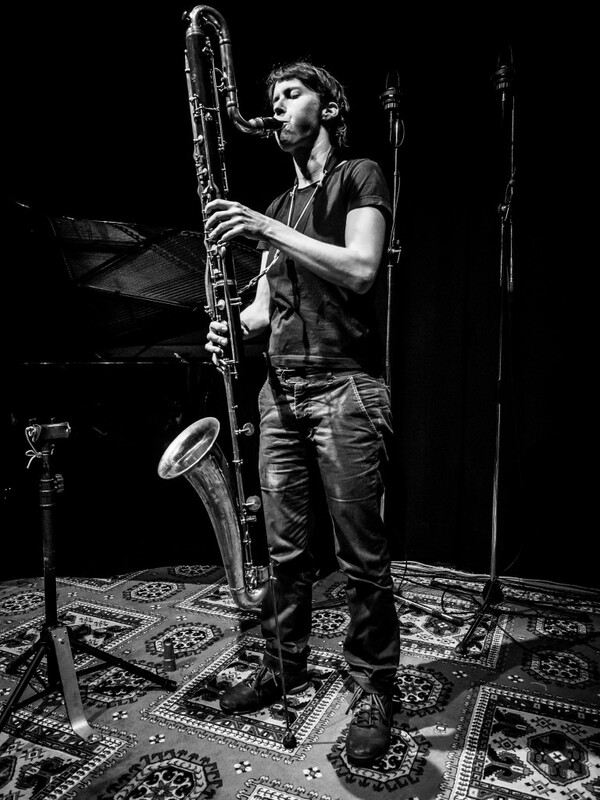 Stream this one-hour special on Viennese bass clarinet player and composer Susanna Gartmayer, broadcast by Resonance FM as part of our collaborative series SHAPE artist hour. Susanna Gartmayer is a Viennese musician, active in a number of projects. She studied painting and printmaking and is self trained in bass clarinet and composition. She is part of many ensembles of elusive musical genres, for example the experimental rock band Broken.Heart.Collector or The Vegetable Orchestra (music for instruments made of out of vegetables). She is participating in the SHAPE platform with three different projects – solo (based on her recording AOUI), Möström (with Tamara Wilhelm and Elise Mory) and a duo with filmmaker and electronic musician Brigitta Bödenauer. In this special sonic overview, she describes her work (solo and collaborations) and talks about her background. This October, Gartmayer will be performing at the 2016 edition of the musikprotokoll festival in Graz.